While I share Annie's confidence that Sime Darby is in good hands, having a politician at the helm of a GLC can be a bane. Isa Samad, the Umno veteran, is fast becoming one at Felda. His haste to put Emir Mavani Abdullah as CEO-designate seven months before the current one steps down has raised eyebrows and, unfortunately for Emir, opened a can of worms. Now, apparently, there's a social media war taking place between pro-Umno bloggers. In one corner, you have Big Dog stripping Emir naked (and, in his latest post h e r e, biting Isa into pieces); in the other, you have others gunning down the existing CEO, Ahmad Sabri, to the ground in typical assassin fashion ie go after the wife (Sabri must go and retire from FGV). It's all a lot of fun to read, but it also makes Felda a laughing stock. My advise to Isa, stop bringing politics into FGV. You now know that your man Emir is not a Dr Emir as claimed, question is how do you fix it? Telling the AGM that Emir hadn't know he was going to come back to Malaysia to serve is so lame. p.s. There are several "anak Felda" in the top management of FGV. What, people like Khairil Anuar Aziz and Zakaria Arshad are not qualified to be CEO of the company their parents helped create with their blood, sweat and tears, izzit? Should we use the PETRONAS model when someone has a vision that Felda should be a world player. I was made to understand that PETRONAS then was quite free from politics and politicians, that's how it made it to the fortune 500. In business its a very simple process. You make the bucks for the company and you stay on to make more. You don't meet your financial KPI, out you go and then come a replacement to see if he can do any better. With politicians around, you get half answers to your questions. Was the glass half full or half empty? Either way you get half answers. But the good thing is that you get to continue questioning them until you get the answers you want. They owe it to the shareholders. ......and the best CEO candidate for FGV would the 'BIGDOG', second choice Ahirrudin Attan and the third choice Annie Ghani the drama queen !! Your above comment proves that you are a paid DAP Red Bean Army cybertrooper. It also shows your lack of knowledge, a typical trait of RBA! Rocky sudah lupa ke... Isa tu orang kuat Najib, dulu Rocky dan geng pon banyak sokong Isa masuk FGV, sekarang pulak kata Isa tak baik ?? macam mana ni Rocky ?? In the era of Think tanks running the PMO, selective meritocracy in appointing GLC heads, awarding of scholarship etc is only available to stiff upper lips Tamils, Mamaks and Chinese and denied to the "peasant" Malays, Bangladesh, Indonesisns snd Rohingyas. To anon : the options given in the article sounds reasonable and precise, why the venom? It makes sense to want to see Tan Sri Sabri Ahmad to retire. But not because he is a lousy Group CEO and lousy in the industry. Especially not to suggest that he is opportunistic, greedy, manipulative and the family is involved in his professional affairs. Sabri already retired once, when the three plantations conglomerate merged by a corporate exercise by Synergy Drive. Prime Minister Dato' Sri Mohd Najib Tun Razak handpicked Sabri to take charge when he rolled out the IPO plans for FGV. Remember, Tan Sri Mohd Bakke Salleh was his initial FGV boss. Circumstantially and conveniently, Bakke was sent to Sime Darby to take over from seat-warmer Dato' Azhar Abd Hamid, appointed acting CEO upon the sacking of Dato Seri Zubir Morshid. Sabri, Bakke and Azhar are seasoned and experienced plantation CEOs. Not to mention that they hv the industry respect. Totally unlike Emir Mavani. The attempt to rubbish Sabri is really lame at the juncture where it has been proven Emir Mavani is a fake and crook and on top of that, Tan Sri Isa Samad was haste to replace Sabri. Worse still, for personal reasons. Look at the accusations listed. 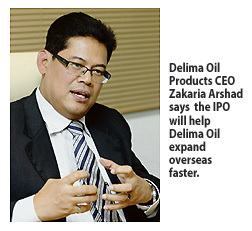 For one, FELMA is a subsidiary of FHB and not FGV. FGV hv no flats in London. How could he and the wife monopolise or dominate properties or facilities of other organisations. Sabri is not known as a man of opulence. So many good people of sound reputation could attest for his character, usual habits and integrity. To accuse Sabri of spending a lot of money for appointing foreign consultant without providing any shred of evidence is simply low. No names. No deals. No mention of specific projects. Only something could be engineered by a seasoned politician who has done some tricky dirty political covert ops coupled with the motivated minions of a cheating and crooked CEO aspirant. These bloggers must at least have some sense of knowledge on what they post instead of spewing vomit from the carcass being forced down their throat. Who says Isa is Bringing Politics into Felda! Isa is a Corporate Leader with more than 30 years experience in leading Corporations and knowledgable on Global Finance and Commodities. He was also the Winner of Donald Trump's "The Apprentice" in 1954. There is nobody better than him in the Malaysian Corporate World! this is the problem of umno and gomen malaysia..
You are right. Dulu masa itu poster-boy Tengku Zafrul of Maybank made negative remark about Isa Samad, most pro UMNO bloggers buat bising. Itu Parpukari, BigDog, etc. semua melalak macam lubang jubo depa kena sodom big time dengan Anwar Ibrahim. Sekarang apa sudah jadi Rocky? Isa Samad letak itu Emir Mavani as budah suruhan. Jangan salahkan Emir Mavani, salahkan itu Isa Samad juga la. And siapa letak Isa Samad as Chairman of Felda? Itu PM and RM punya kerja la. Apa sudah jadi Rocky? I don't remember giving my sokong to Isa Samad just because he is Najib's man. In fact, in a pre-IPO posting, I said Malik Aliman and Isa Samad should not play out their political differences in Felda but should offer to fight each other in the general election. Spot on. I am all for revelations and exposes, but they must be based on facts not fabrication or pure gossip. This is why I'm concerned about a plan by UMNO to create a Department of Social Media to beat the heck of the Opposition's cybertroopers by PRU14. If they are going to go about it the same way they have been going about it, they will be producing "professional" tweeps, bloggers, facebookers etc who merely parrot a prepared script without any thought or intellect. The result, as we've seen, is rarely pretty and usually filled with rantings (at best) and obsceinities (at worst). The other day you were whacking for Tun Faisal like a paid dog but end up getting his boss embarass for the attempt to con the party for RM350 million. The issue is on Emir and not Sabri. Sabri can go if it is time to go. He does not have to copy and paste from another dumb dumb. However the issue of the fraud and swindler by the name of Emir must be address. The politicians promised FGV as the way forward and opportunity to future 3, 4 and so on generation Felda. So you accuse Anonymous 6:28pm. And how do we know that YOU are not a Red Bean Army cybertrooper working for the despicable DAP? Leaders come and go, no matter what when it is time to be replaced and FGV really need new leader who is really competent in all aspects. Felda has existed for a long time, then it's time for Felda especially FGV be led by Felda generation with proven and professional qualification, experienced, competent, creative, honest and most importantly those who knew Felda direction for a brighter future. If we have mentioned there are two Felda generation who are eligible to replace Tan Sri Dato’ Sabri as it CEO, namely, Datuk Khairul Anuar Abdul Aziz, second generation Felda from Felda Sg Klah currently served as COO of FGV and another candidate is Arshad Zakaria, CEO Delima Oil Products, we may forget or do forget about another Felda generation who was so successful in his career and is now serving as Vice President & Head of Group Procurement, FGV. He is currently in charge of procurement for Felda Global Ventures Holdings Berhad and Felda Holdings Limited and its Subsidiaries. The 3rd candidate intended is Dato’ Ir Jamlus Aziz, son of Felda settler from Pasir Besar, Negeri Sembilan, an engineer by profession who was graduate from the University of Toledo, Ohio, USA. He can be considered as highly qualified professional engineer and proven with his vast experience and ability in managing RM4.5billion value project, 2 x 750MW CC Power Plant Rehabilitation (Tuanku Ja’afar Power Plant, Port Dickson, Negeri Sembilan)with TNB. Talk about working experience, Dato’ Ir Jamlus is a former member of state assembly of Negeri Sembilan served as Chairman of State Action committee in charge of water, telecommunication, rural development, youth and sport for Negeri Sembilan. 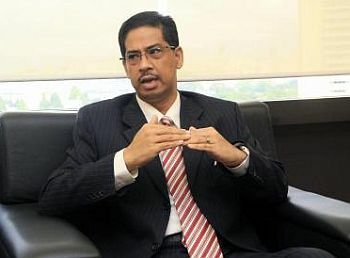 Prior to that, he served Tenaga Nasional Berhad in various capacity and position for more than 15 years. He is also has good working experiences with GLC, government and private consultant company. He is currently served as a committee member for Alumni Asrama Semai Bakti, an NGO formed by ex student of Asrama Felda malaysia and was also a recipient of Felda National Youth Leadership Awarded by the Prime Minister. So, with no doubt and it is believed that with his vast experience, qualification, health condition, independent, no hidden agenda, good work ethic and better vision for Felda especially the future of Felda Generation, Dato’ Jamlus is more than eligible to lead the management of FGV as it Group CEO. Leaders come and go, no matter what when it is time to be replaced and FGV need new leader who is really competent in all aspects. Felda has existed for a long time, then it's time for Felda especially FGV be led by Felda generation with proven and professional qualification, experienced, competent, creative, honest and most importantly those who knew Felda direction for a brighter future. If we have mentioned there are two Felda generation who are eligible to replace Tan Sri Dato’ Sabri as it CEO, namely, Datuk Khairul Anuar Abdul Aziz, second generation Felda from Felda Sg Klah currently served as COO of FGV and another candidate is Arshad Zakaria, CEO Delima Oil Products, we may forget or do forget about another Felda generation who was also successful in his career and is now serving as Vice President & Head of Group Procurement, FGV. He is currently in charge of procurement for Felda Global Ventures Holdings Berhad and Felda Holdings Limited and its Subsidiaries. The 3rd candidate intended is Dato’ Ir Jamlus Aziz, son of Felda settler from Pasir Besar, Negeri Sembilan, an engineer by profession who was graduate from the University of Toledo, Ohio, USA. He can be considered as highly qualified professional engineer and proven with his vast experience and ability in managing RM4.5billion value project, 2 x 750MW CC Power Plant Rehabilitation (Tuanku Ja’afar Power Plant, Port Dickson, Negeri Sembilan)with TNB. When we talk about working experience, Dato’ Ir Jamlus is a former member of state assembly of Negeri Sembilan served as Chairman, State Action committee in charge of water, telecommunication, rural development, youth and sport for Negeri Sembilan. Prior to that, he served Tenaga Nasional Berhad in various capacity and position for more than 15 years. He is also has good working experiences with GLC, government and private consultant company. Dato’ Ir Jamlus is currently one of the committee member for Alumni Asrama Semai Bakti, an NGO formed by ex student of Asrama Felda Malaysia. Besides, he was also the recipient of Felda National Youth Leadership Awarded by the Prime Minister. So, with no doubt, it is believed that with his vast experience, professional qualification, health condition, independent in performing his task, no hidden agenda, good work ethic and better vision for Felda especially the future of Felda Generation, Dato’ Ir Jamlus Aziz is more than eligible to lead the management of FGV as it Group CEO.